Enrollment Information: Enrollment Year Round. Special Programs: Music, Spanish, Computer, Library, P.E. School established 1991. We are an academic program and learning center. We are accredited by the National Independent Private Schools Association. 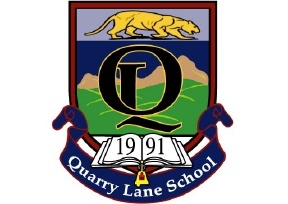 The Quarry Lane School believes in providing structure for the child and guiding him/her in the learning process. We are concerned about the individual emotional needs of each child. The Quarry Lane School staff works hard to balance love and organization in guiding your child. There is a balance between relaxed social times and organized group activities. Our classroom environment is flexible, designed to meet the developmental levels of children while allowing for the unique differences in their needs.